Getting ready to head Down Under to the great land of Australia? Congratulations, it is an absolute treat (and I’m ~not at all~ biased), but knowing how much money to bring is a question we often get asked. After all, budgeting for a new country is always an unknown and you want to make sure you’re set up to experience everything you want. Australian money (AUD) is very colourful, plastic and uses the dollars and cents denominations. You may also hear it referred to as ‘Dollarydoos’, which is a cheerful slang for dollars. 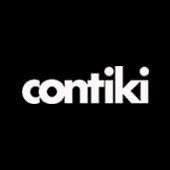 If you’re doing a Contiki you’re in luck because all your accommodation is taken care of. Like most countries, there’s a range of options from hostels to hotels, with caravan parks and even camping being an option. Budget for $45 – $220 per night depending on your desired level of comfort. Again, if you’re booked on a Contiki your transport between destinations and out to see the cool places and natural wonders Australia has to offer is covered. If you’re not though, try to master public transport in the cities, as it’s a lot cheaper than cabs and Uber. Australia is big and getting places takes longer, so expect the prices to be high for drives that are over 30 minutes. It’s a hard one to budget for so we’d recommend staying close to where you want to explore (i.e. in the city or on the beach), or hiring a car if you’re going into the bush or outside areas with public transport. Eating and drinking in Australia can be as expensive or as cheap as you want! Aussies have a HUGE range of food from generic supermarket buys and local bakeries (you must try a pie while you’re there! ), to top-notch pubs and award winning dining. There’s so much choice, but on average a burger and chips will be around $15-20, pizza around $10 and fresh fruit $0.50 per piece. Booze can be a little on the expensive side though so set a budget on a night out. Beers, shots and wine all average $6-$10 per standard drink, while alcohol from a bottle shop (or bottleo as they’re affectionately known in Australia) is half the price per drink. Soft drink and soda water are always cheaper, at approx. $3 per glass while out. The coffee is delicious and roughly $4 and cheaper outside cities. A good rule of thumb is to remember that the more remote a location, the more expensive food and drinks will be (those transport costs are a killer!). So if you’re heading to the Outback fro example, you’ll be looking at approx. $25 for a pub meal instead of $20. On average give yourself $30 for food per day if you’re a DIY from the supermarket type, or $50-$60 if you’re a foodie. Australia has THOUSANDS of amazing activities to try. Fancy sailing on the blue waters around the Whitsundays, or seeing the sunset over Uluru in the Red Centre? How about bungee jumping into canyons or skydiving over beaches? You’ll need some cash to do it all, around $1500 for two weeks. It may sound expensive but the Harbour Bridge climb in Sydney is $250 alone! Just remember that it’s always your choice to do as much or as little as you want. We recommend listing your must-do items and saving for them first. Good news! There’s no tipping in Australia! Occasionally at bars people leave their loose change in a jar as a tip but tipping is not customary or expected Down Under.